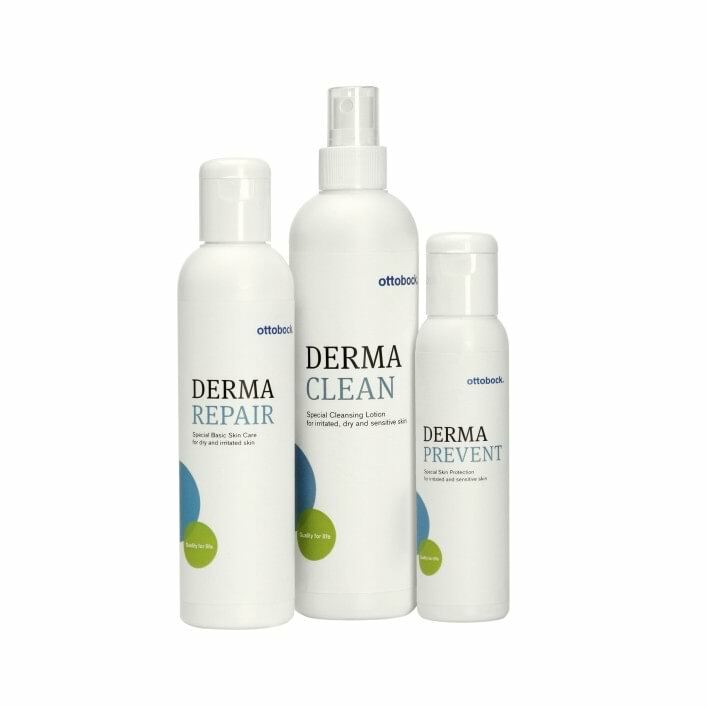 Derma Clean cleans gently and safely. Ph-neutral, anti-bacterial formula. Derma Prevent coats the skin, leaving it soft and supple, while preventing chaffing. Derma Repair moisturises and promotes regeneration of dry, irritated skin.